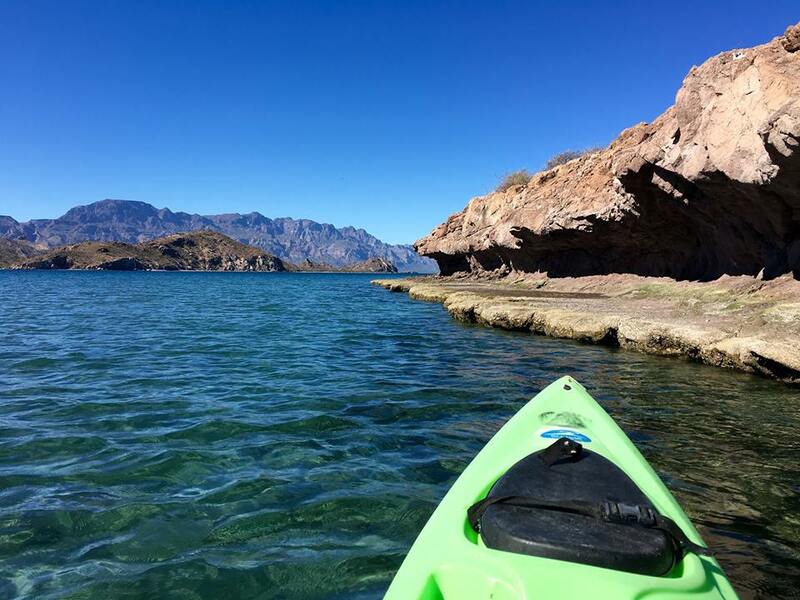 Off the Sea of Cortez lies a very special place, one that is quite hard to find in a world where once such spots of natural beauty are discovered they quickly become tourist meccas with little peace in site. But Villa del Palmar at the Islands of Loreto just south of Loreto, Mexico along with the pristine islands of Loreto is a sanctuary. The virgin eastern coastline of the Baja peninsula overlooking Danzante Island (one of five in the region) is hugged by the rugged Sierra de La Giganta Mountains. 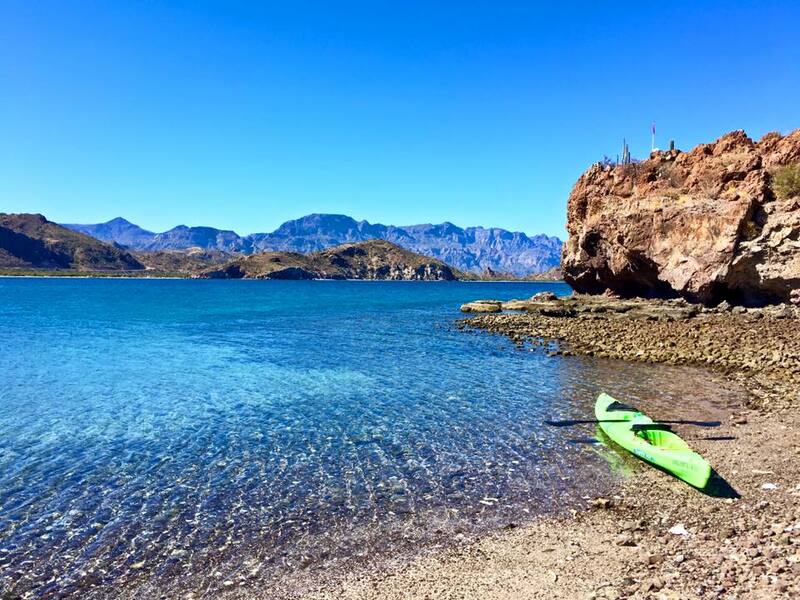 Loreto, Mexico makes a perfect escape from Los Angeles. As I get older, I appreciate and marvel at a place so untouched. 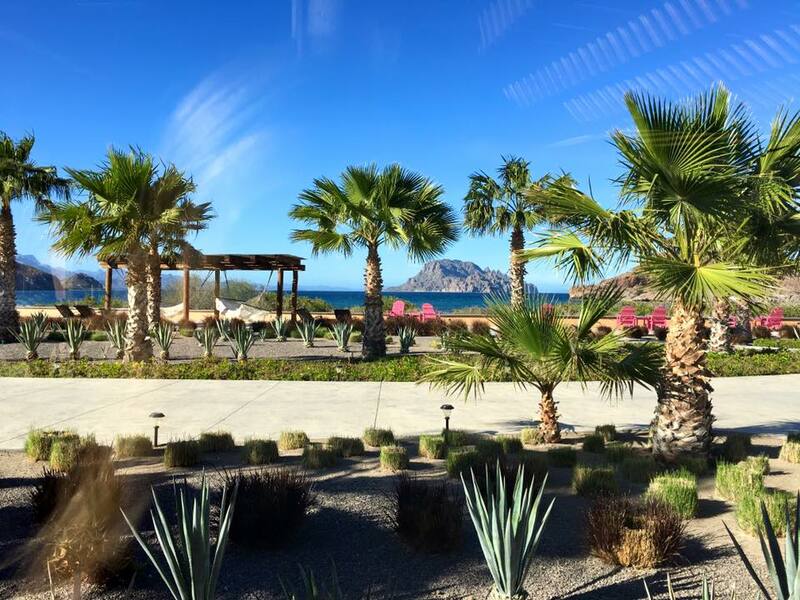 The five-year old Villa del Palmar resort, the only resort around, is just 25 minutes south of the adorable Mexican town Loreto. 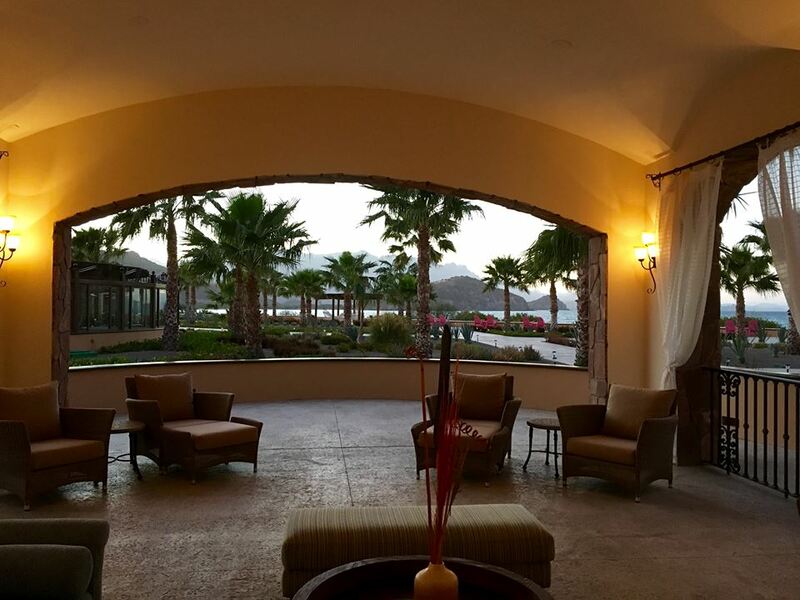 Villa del Palmar is the place you go to fill up your soul. Trip Advisor named Villa del Palmar the 16th best resort in Mexico. Just an hour and 40 minute plane ride from Los Angeles, skip party town Cabo and perhaps more frequented La Paz, and spend time soaking up the quiet beaches, astonishing untouched natural habitats, scenic vistas, and unique beauty of the land combining desert, mountains, and sea. 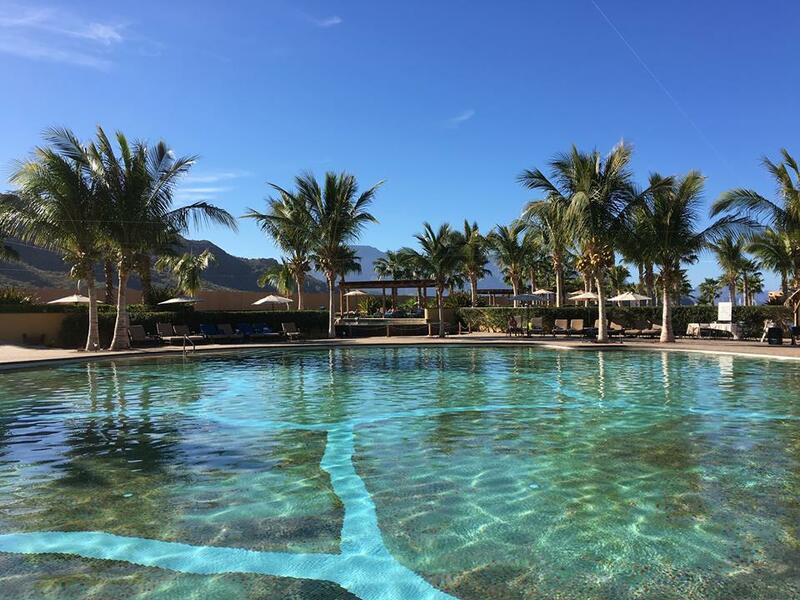 Not a fan of all-inclusive resorts or massive resorts in general, quiet and serene Villa del Palmar is a special place because the whole time the place felt remarkably like my own. There is a reason Jacques Cousteau described the Sea of Cortez as “the world’s aquarium.” The area is teaming with wildlife on land and sea, including 900 species of fish off the coast and an area that has been designated a UNESCO World Heritage Site and the second largest National Marine Park. 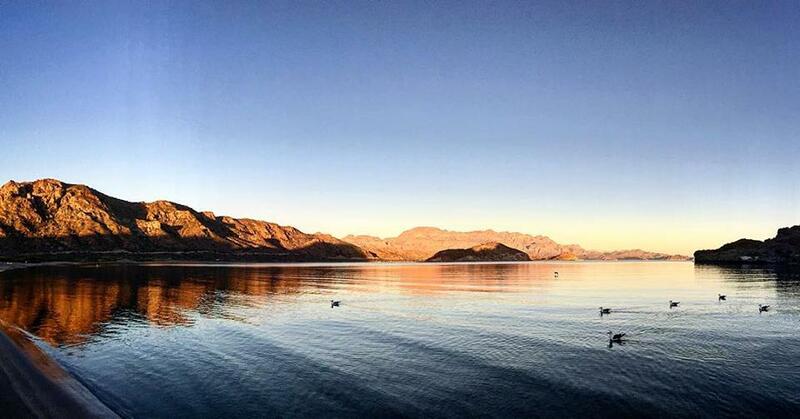 The Loreto Bay National Park consists of 6 main Loreto islands – Coronado, Danzante, Santa Catalina, Santa Cruz, Monserrat, and Del Carmen. If that is not enough to entice you to explore this Mexican gem, then here are more reasons why I didn’t want to leave after 3 days. 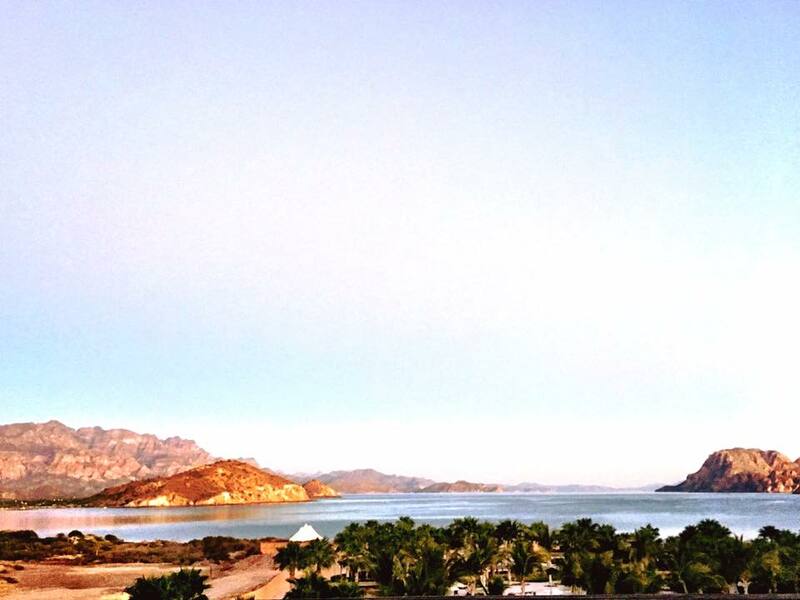 The setting of Villa del Palmar at the Islands of Loreto will be forever seared in my mind. Each night I gazed in awe at the grandeur of the sky and the magnitude of the glowing starry heavens, ready to swallow us whole. Every night I would hold my iPhone’s Skyview Free App up to the sky to read the twinkly liquid blackness since I was so mesmerized by a place where there is no light pollution. The first night I watched as eco-friendly lit lanterns were sent into the sky for a charity and each glowing orb aligned in the black milky sparkle dotted sky. Feel peace with each daily sunrise and sunset. From the grand balcony of each room, the beach down below, or even hiking to a vista nearby the hotel, don’t miss the daily reminder that you are ALIVE. There is something so awe-inspiring as the morning sunlight hits the red mountains and casts a glow all over the ocean and land. 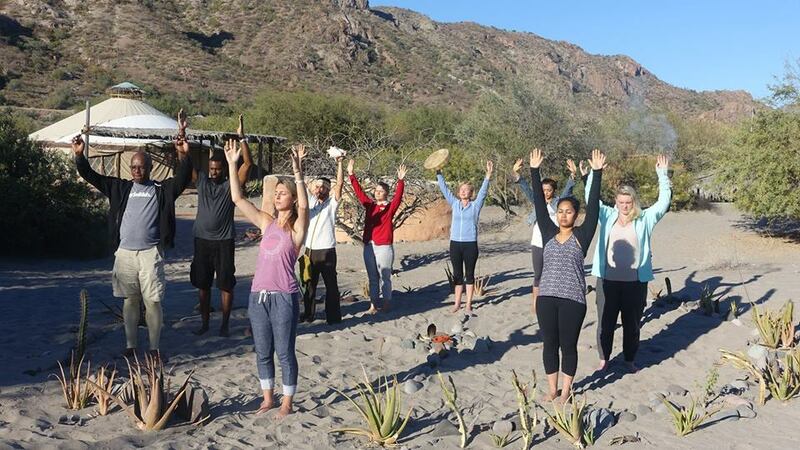 Give thanks and prayers with morning Sun Salutations with a Holistic Healer One of the most memorable experiences was early morning Sun Salutations on the beach with medicine man. In our prayer circle, we sang, prayed in all 4 directions, were wafted with various smoke, placed tobacco in the fire as an offering, blew a conch shell, had special water misted on us, and ended our special ceremony by giving blessings to one another by shaking hands and saying in Spanish, “Good Day, Good Life!” Truly a feel-good way to start the day! Breathe in the fresh air and the unbelievable landscape right from your room. Every room has a lengthy balcony that feels private with stellar views to gaze in awe as the hues of the landscape change. The air feels really good. Some rooms include large jacuzzi tubs right on the balcony. The luxurious resort was also always really quiet. Marvel at dolphins, whales, sea lions, and birds. After 6 hours on the Sea of Cortez, we did not spot another boat, which made me love this area even more. The small inflatable APEX boat that we took from the hotel flew over the waves as we watched numerous sea lions lollygag, a humpback whale show off its marvelous body, and a dolphin brigade. By far one of the highlights of my life, our screams of joy never ceased as we watched hundreds of dolphins surround our small boat in the middle of the sea, flying and jumping in every direction, under our boat, leaping in teams of five….dolphins in every possible direction, showing off in the middle of the sea for just us to see. It made me giddy and I kept screaming, “Yes, Yes, Yes!” out of sheer delight of witnessing something so utterly beautiful. 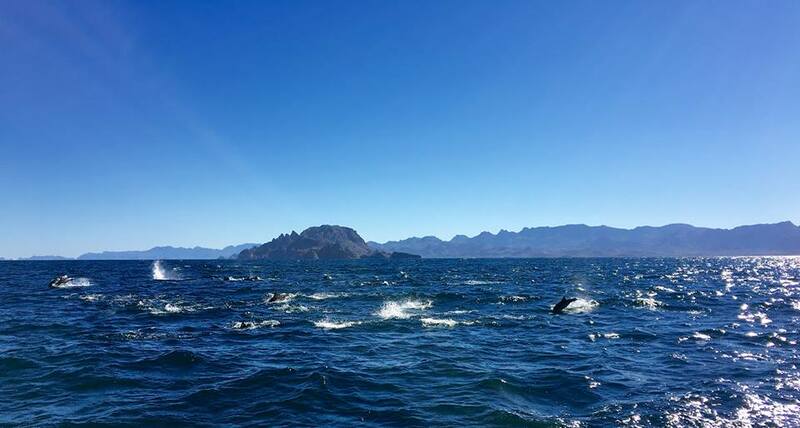 Just several hours away you can head to a lagoon to witness where whales go to give birth in this natural protection in the Sea of Cortez. The coastal reserves offer shelter and warmer waters and we learned you can experience the whales up close and personal. Snorkel off of Del Carmen Island and eat lunch on a deserted beach. Even though the water was a bit brisk for January, three of us slipped off the boat sans wetsuits into the crystal clear sea to snorkel and kiss fishes. Not exactly, but pretty close, as we swam in this tropical Baja aquarium teaming with colorful fish all around us. One girl held a sea cucumber while I held a puffer fish briefly before his animated cartoon face was ready to pop back in the sea. Large eels hid in the rocks and I kept popping up and swimming in circles above the water line as I could not get over the landscape on all sides. 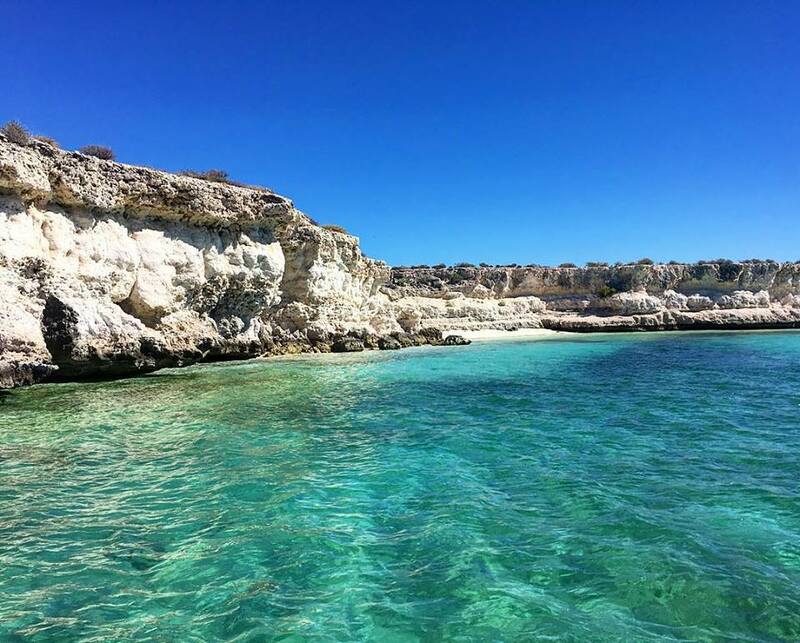 As we warmed our bones back on the boat, we anchored off this exquisite deserted island called El Carmen where we ate lunch and wished we could take back all of the colossal sea shells from this dramatic scenery of glistening white sand and land. Kayak or paddle board right off the property. One afternoon I took a kayak out solo without anyone else out around. I paddled along the coast as I observed various birds and drifted ashore to check out a few beach alcoves where I gazed at a plethora of grand shells, many broken in large chunks. The landscape alone is intoxicating as you glide over the clear greenish blue water below. You may wish to take the glass bottom kayak out, paddle board, or take PADI-certified scuba diving lessons in the waters. 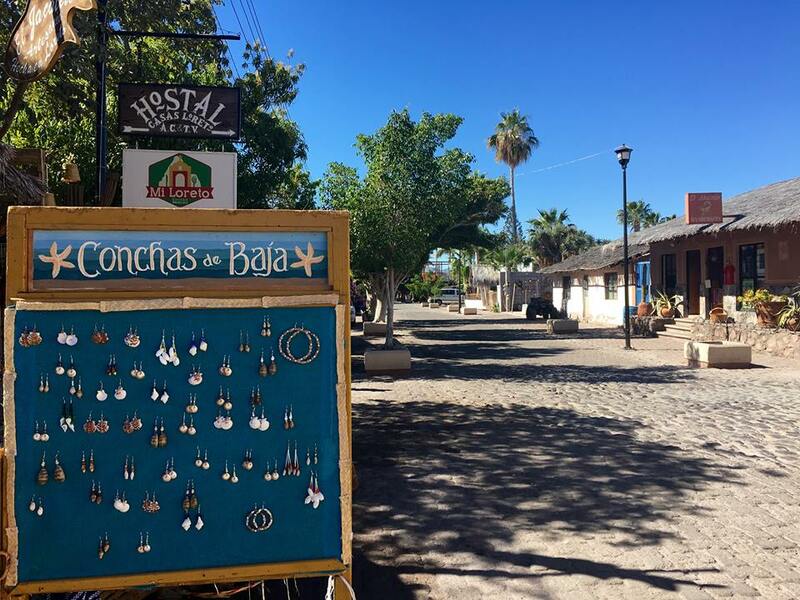 Explore the adorable Mexican town, Loreto. Delight in some quacamole and get lost in this charming town where our boat ride reached its end after about a 6 hour adventure from the hotel. Visit the 1697 Mission and small streets aligned with handicrafts, and wonder how Mexico ever got a reputation as being unsafe. A complimentary shuttle service is provided to all hotel guests to and from Loreto. Dine on scrumptious Mexican cuisine. After 3 days at Villa del Palmar, I easily gained 10 pounds because the food was outstanding. 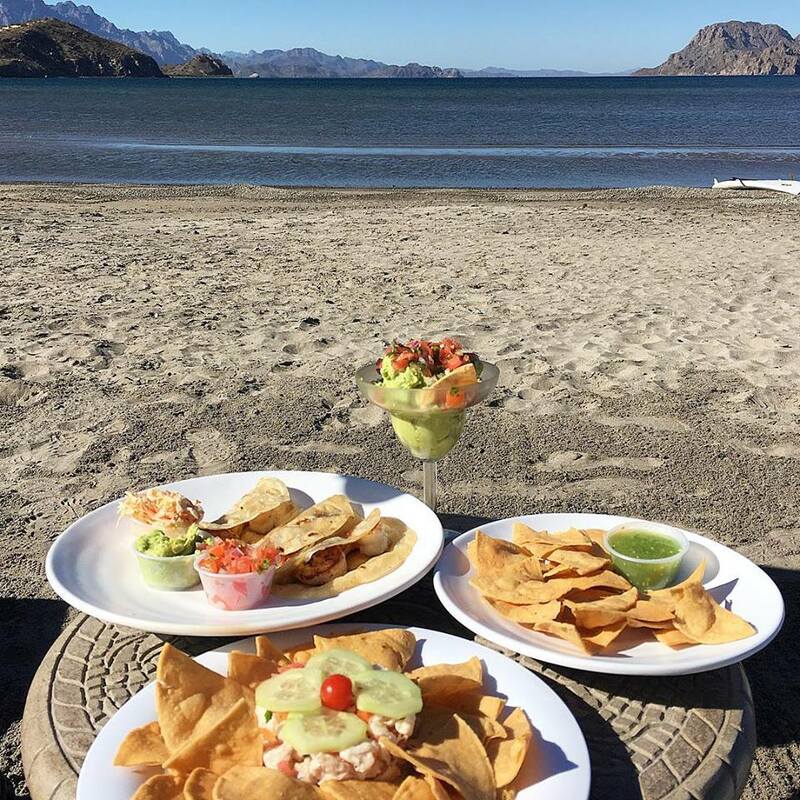 How can you say no to a Mexican fiesta, fresh fish, quacamole, refried beans, shrimp tacos, ceviche, and seafood right from the sea every day and night? Choose a buffet or one of their three restaurants – Market restaurant, Danzante restaurant, or Vista del Mar terrace. 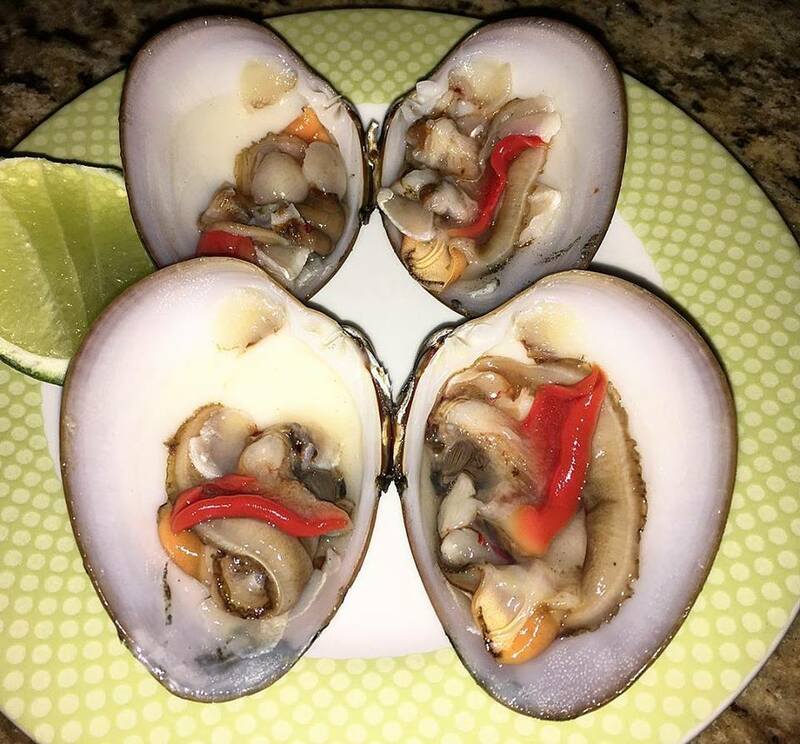 Try the chocolate clams from the area or have your fish prepared that you just caught that day. How can you resist sampling everything off the Mexican dessert cart? Beyond the exceptional cuisine, the service was impeccable. Feel like royalty with top-notch service. 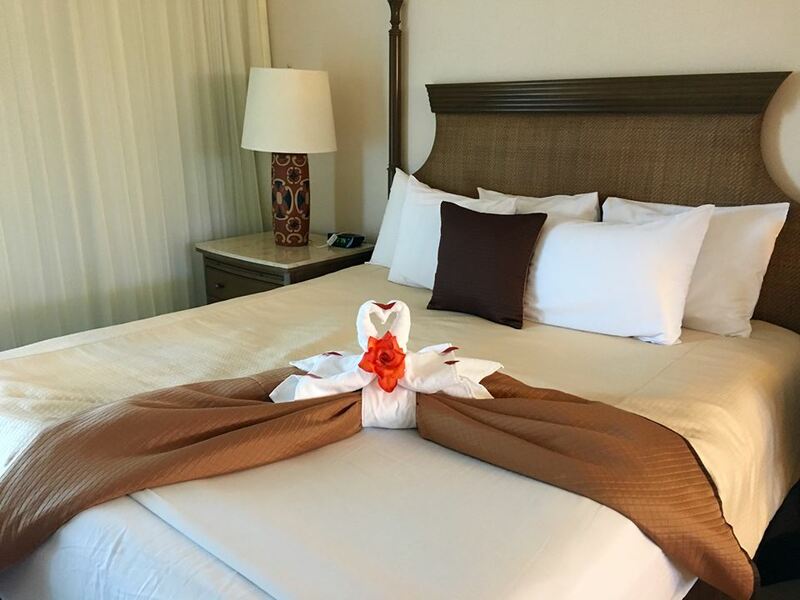 The staff truly goes above and beyond to help you have a stellar experience, from getting your kayak ready, to making sure your fresh juice and coffee are never empty, to surprising guests celebrating anniversaries and birthdays with in-room treats of mariachi bands, balloons, specialty desserts with your name, and stones laid out on your bed with your name welcoming you. I have never seen such unique attention paid to each guest. Now I know why a couple I know in LA got engaged at this special retreat. Dance at the private club in the hills. Too old for clubs, but not one that hangs off a cliff with the stars so close you can touch them. Take the shuttle up, sip a cocktail and dance the night away in this circular starry space with other hotel revelers as old school tunes get you shaking. Forget your woes at their grand spa. The Sabila Spa with mountain desert views was so incredible I fell asleep in a chair with a chilled towel on my head, hot herbal compress around my neck, and cucumbers on my eyes after enjoying an ultimate relaxation session. The spa experience in a 39,000 square foot facility included a massage followed by a sauna, hot and warm Jacuzzis, various cold plunge pools, a steam room, and an aloe or salt bath. Hike one of several trails right near the hotel. Explore the land on foot. Admire a jackrabbit, view caves, watch the sun rise. Gaze high above the hotel as the landscape cuddles the property. Learn something new. Can we say tequila tasting? 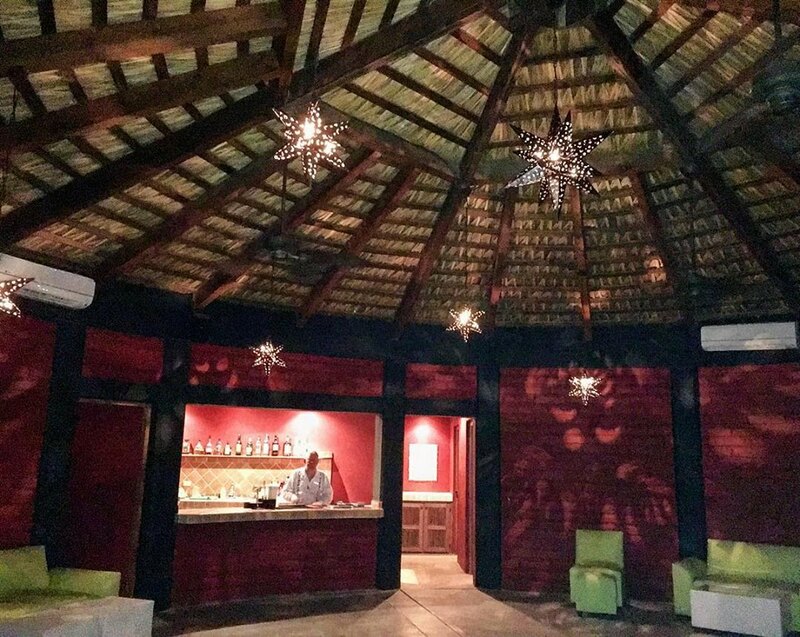 Besides the fitness center, salsa dance lessons are offered, along with movie nights for children and tequila tastings, to name a few activities you may want to try when you tire of the sea and land. 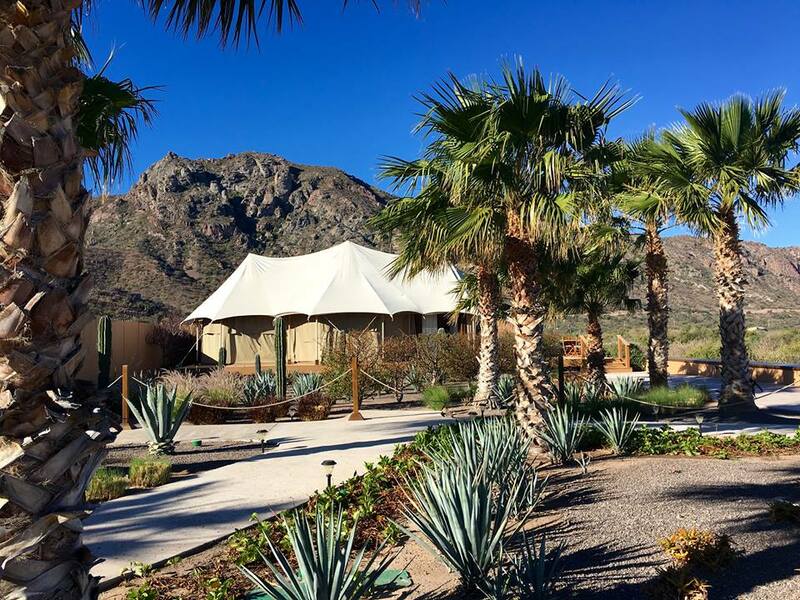 Book the private glamping tent known as the Danzante Bungalow. This 800 square foot Ralph Lauren-esque glamping experience brings you to nature with a private jacuzzi on the beach. Sleep under the stars in this premier luxury canvas home that even includes your own butler. We all dreamed of staying in this romantic bungalow and never going back to reality. Prices are around $150 per person per night. See more pictures of this unique space from Fashion Blogger Cuppayjo. Fish in one of the world’s best seas. Fish aboard the “Mad Dash” tournament boat and bring back your fresh catch of the day for dinner. The world’s best fishing is right outside the Villa Del Palmar. Practice your golf or tennis swing. 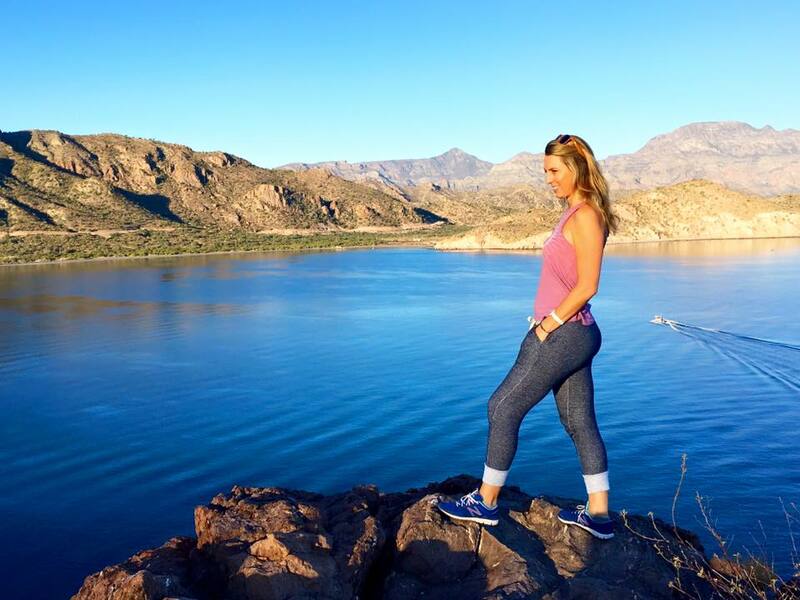 Get fit with sweeping views in every direction. 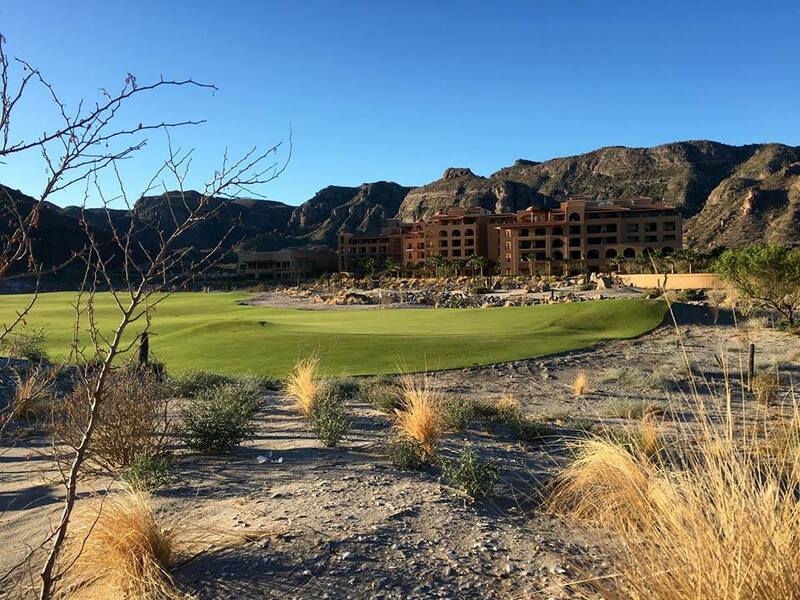 There are tennis courts on the Spa Rooftop and the 7,400 yard Rees Jones-designed Danzante Bay golf course melts into the surrounding environment. Sit by one of five swimming pools. When you tire of the beach (if that is possible), sit by the pool or soak in one of the grand Jacuzzi pools outside for some peace and quiet. You may want to slink into the jacuzzi at night under the stars. Astoundingly, prices are affordable. Although my Deluxe Ocean View room was around $280 a night, some of the grandest several bedroom suites weren’t going for more than $300 a night. There are even 10 person Royal Penthouses with three private terraces and a Jacuzzi tub on a private terrace that won’t break your bank account. 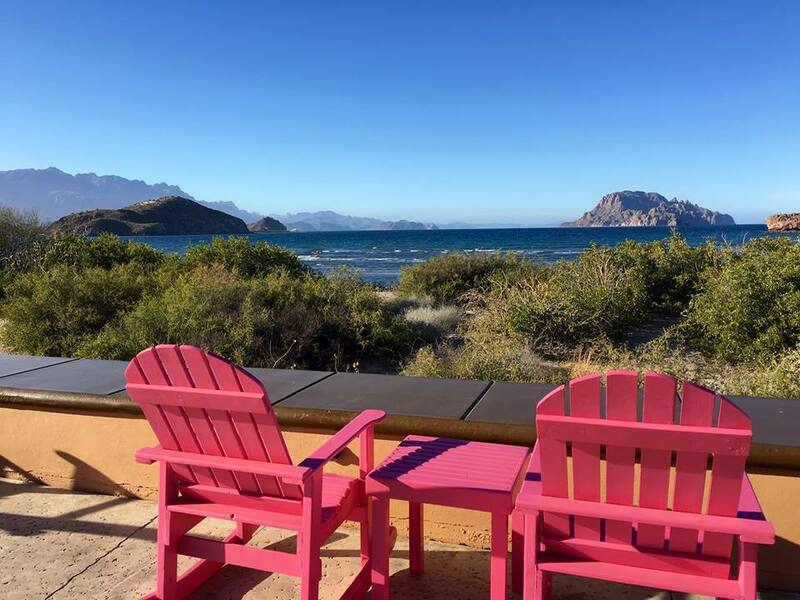 Villa del Palmar at the Islands of Loreto is offering an amazing discount to WeSaidGoTravel readers. 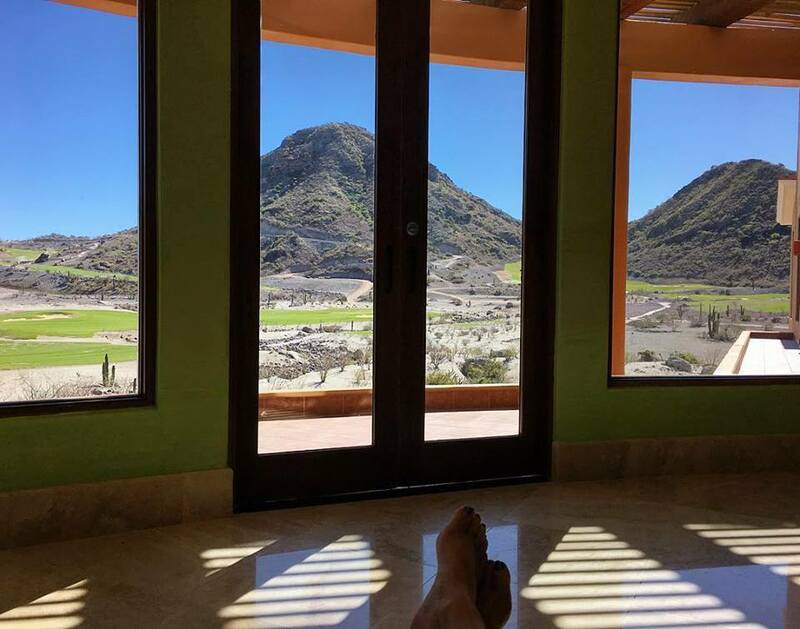 Travel to Loreto anytime from now to April 30th, 2016 and you can get a Deluxe Studio suite for just $146 USD per night , plus taxes and gratuities. Terms and conditions apply, blackout dates apply. If you are interested please reference the code FAMJAN16 when you make your reservation. Travelers can take a short flight from LAX on Alaska Airlines or from Calgary, Canada aboard WestJet, Canada’s most-preferred airline, to the Islands of Loreto. For resort reservations or additional information, please contact Villa del Palmar Loreto visit www.villadelpalmarloreto.com or call 800.790.4187. For even more photos of this unique property, please see Villa del Palmar Facebook, on Instagram, Pinterest and Twitter, and my LaLaScoop Instagram feed.